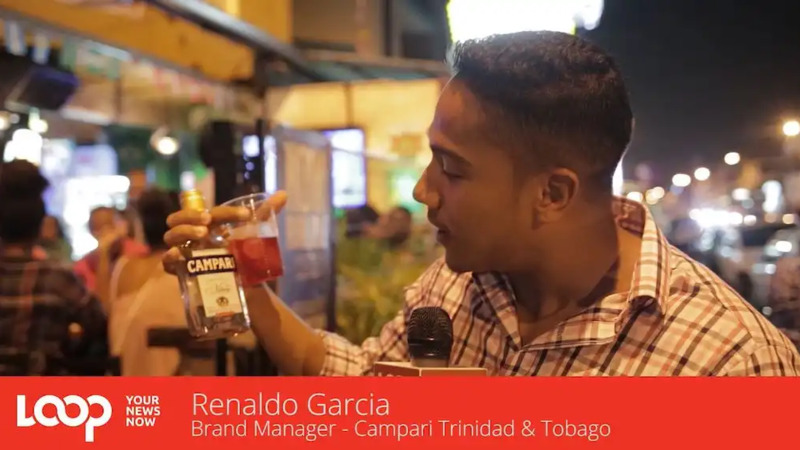 Campari has, for the second time, engaged Belizean consumers with its ‘Win a Trip to Trini Carnival” promotion. The world’s most stylish drink has selected one lucky consumer in Belize to enjoy the fetes, revelry and colourful costumes of Trinidad Carnival 2019. Belizean Joel Stephenson has been selected as the winner of the campaign. Stephenson and his guest, Susie Anne Logan, will receive the Campari Carnival experience of two carnival costumes for Road March, airfare to Trinidad, accommodation in Port of Spain, transportation to all events, and VIP access to all Campari sponsored events in the twin-island republic for Carnival Week. Stephenson was named the competition winner when the promotion closed late last year. 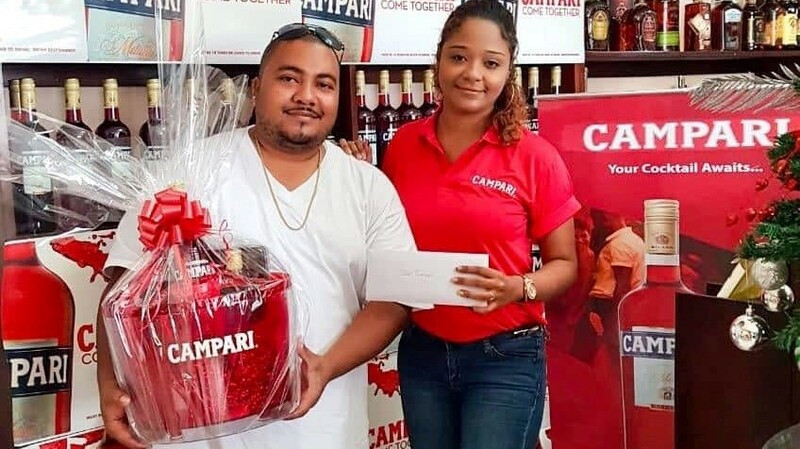 Distributed by Premium Wines and Spirits in Belize, Campari consumers entered the promotion for the chance to receive the Campari Carnival experience, by purchasing a 200ml bottle of Campari, which saw consumers feverishly entering for the experience of a lifetime. 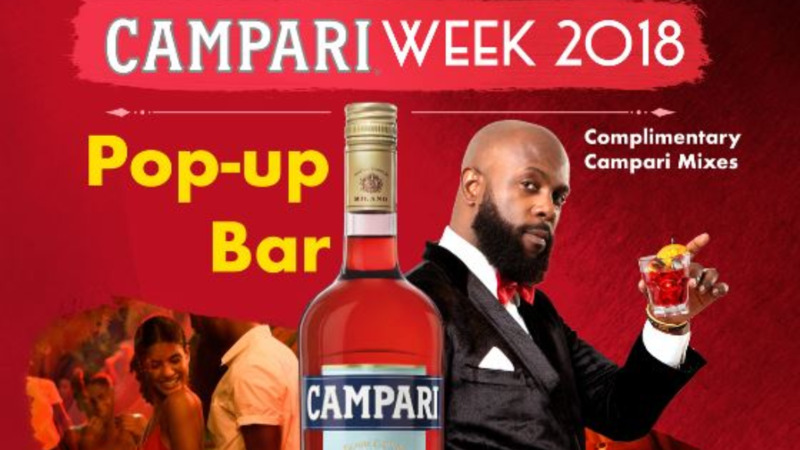 “Our consumers can always rest assured that Campari will always engage them with experiential offerings. Last year’s winner, Crios Munnings, had an amazing time at Trinidad Carnival, and we are elated and excited to see what this year will bring,” shared Ehryn Waight, Brand Manager for the brand in Belize. “The response to the campaign to end 2018 was overwhelmingly positive, and Mr. Stephenson can count himself as indeed very lucky for winning from a large batch,” continued Waight. “I’m very grateful for the opportunity, as Campari has always been my favourite drink, so to win something like this is beyond my wildest dreams. I’m ready to enjoy everything that Trinidad Carnival and Campari has in store for me!” a cheerful Stephenson expressed. 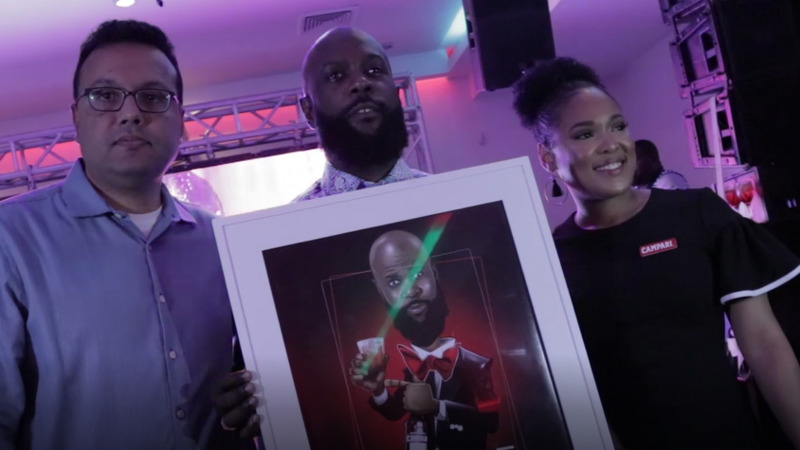 The 2019 Trinidad Carnival season kicked off on December 26 and culminates with Carnival Monday, March 4 and Carnival Tuesday on March 5, Campari playing mas with numerous bands on the road, and activating at a myriad of lead-up events.